MomCoach: A wild and crazy birthday cake! 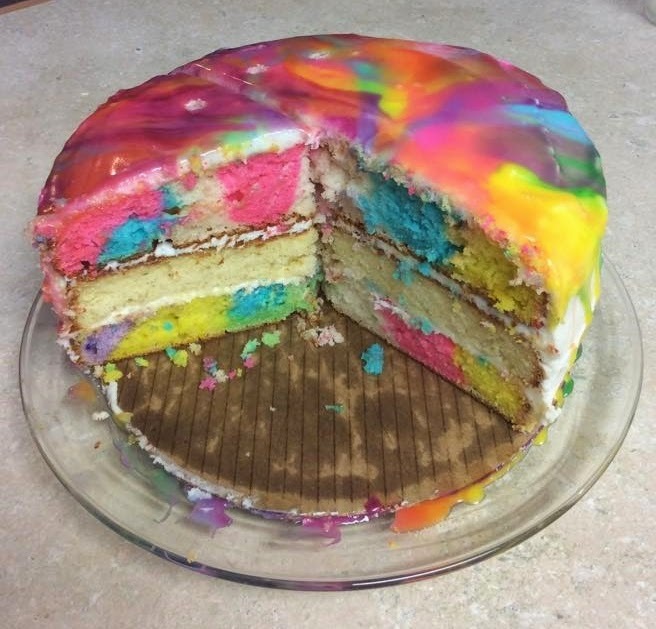 A wild and crazy cake! 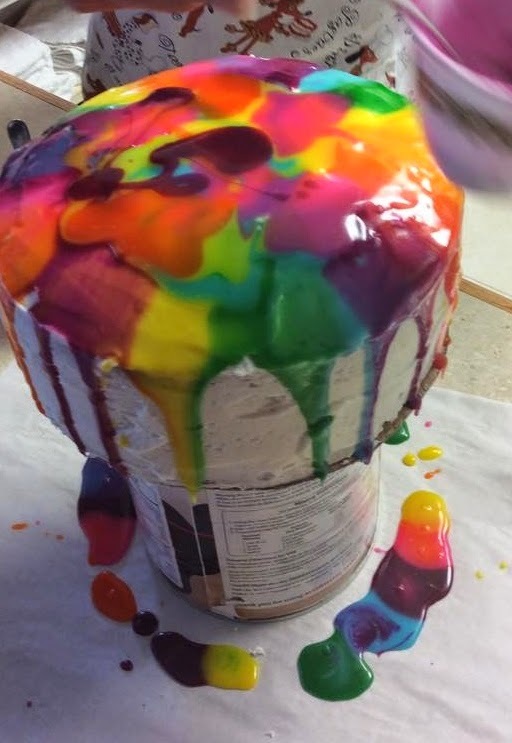 A few months ago, I saw a fantastically beautiful cake on Pinterest. 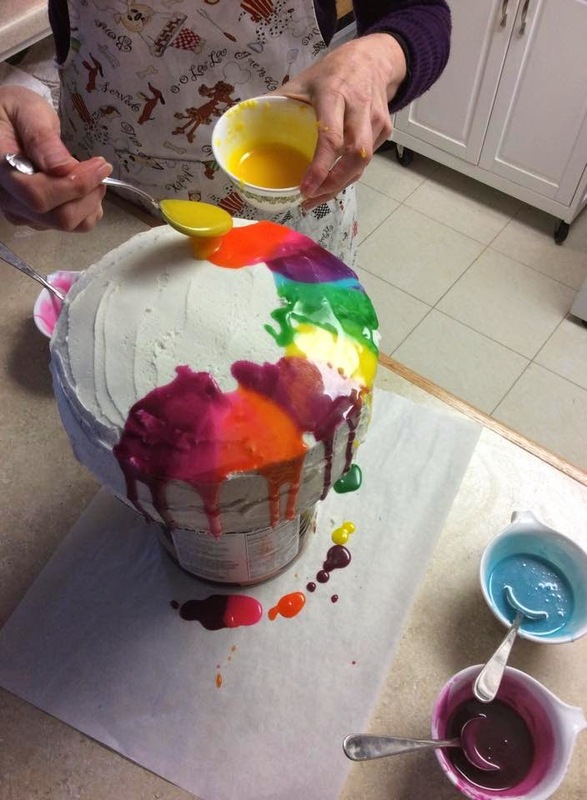 (Found on tablespoon.com) I immediately knew what I was doing for my daughter's next birthday! Let's just say, as usual, my "creation" didn't turn out quite like the amazing picture I pinned but it was a big success anyway! First, I used two traditional boxes of white cake mix and mixed it up as directed. Then before pouring it into pans (Four 8" round cake pans), I divided the batter into 6 bowls. Each bowl of batter got dyed a different color. Then I randomly plopped blobs of colored batter into the pans. 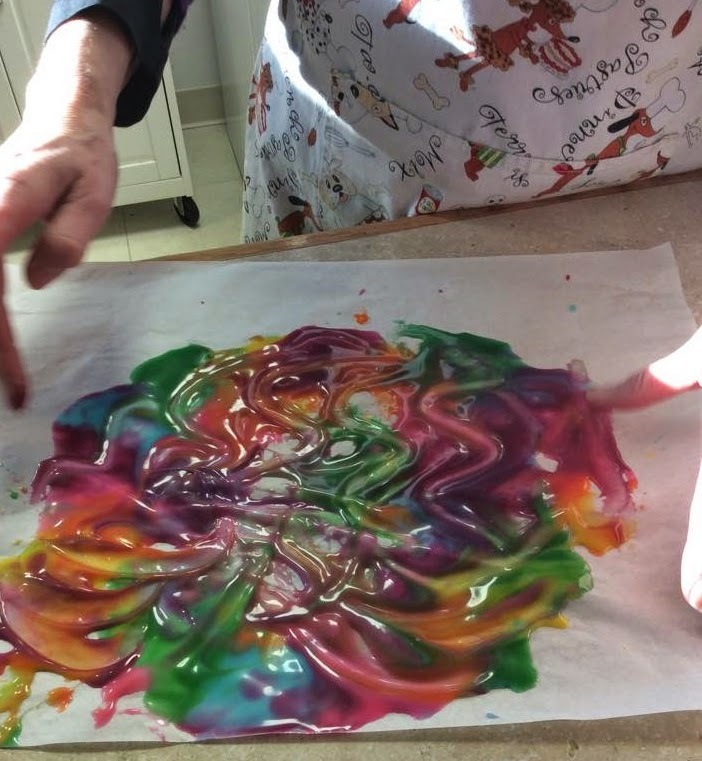 A quick swirl with a knife through the colors and they were ready for the oven. 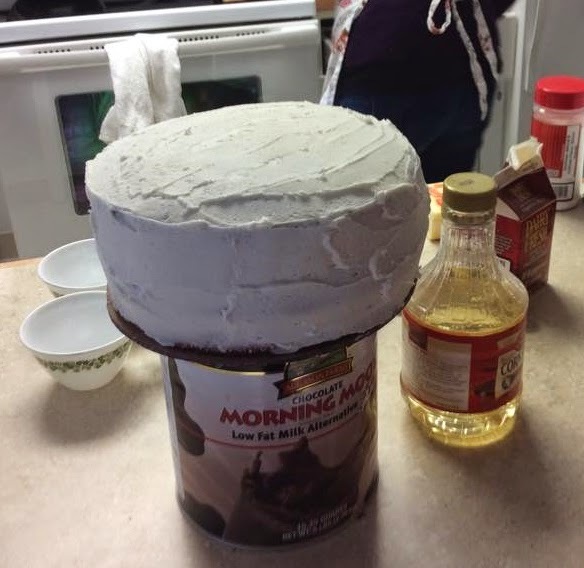 I put the frosted cake on top of a large can so I could turn it easily and put a piece of parchment paper underneath the can to catch drips. 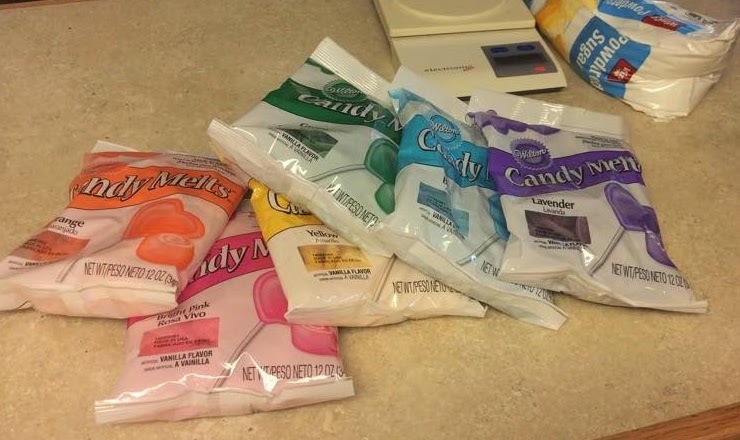 I used six colors of candy melts (should have stuck with the lighter/brighter colors...purple was too dark). 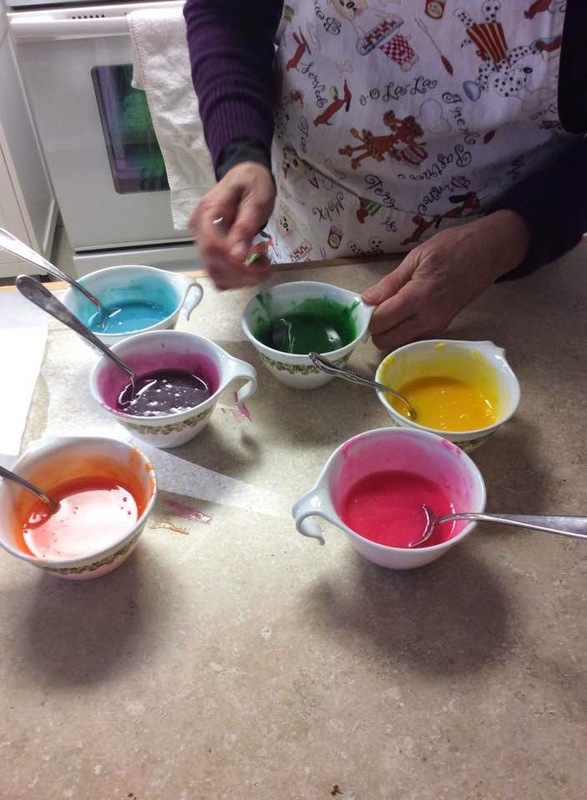 Candy melts were divided into six bowls with 5 oz melts in each bowl. Also, in each bowl went 2 T. corn syrup and 4 T. heavy cream. Microwaved until everything was melted, stirring occasionally. The consistency should be slightly thickened. Purple was probably too dark but the rest were perfect! And that's all there is to it! A cacophony of colors for a girl who likes her cakes wild! 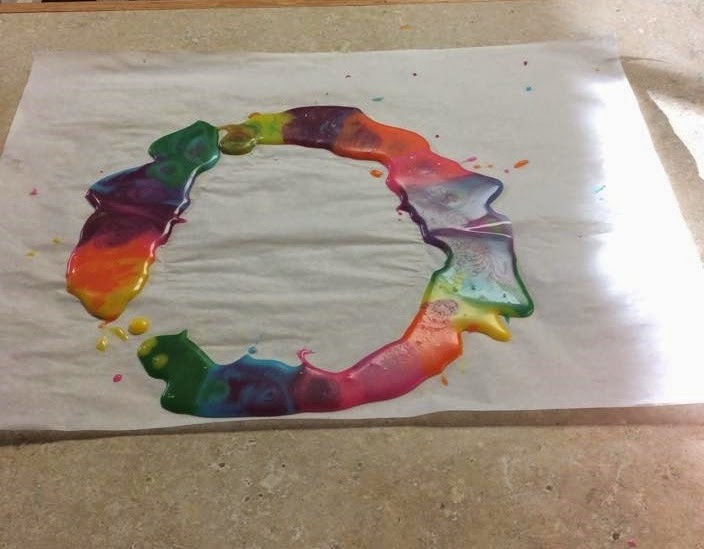 The melts that dripped onto the parchment make wonderful finger paints!